Hammerhead 2016 is being run by Kallistra Ltd with assistance from the Forest Outlaws Wargamers Club and GCN. 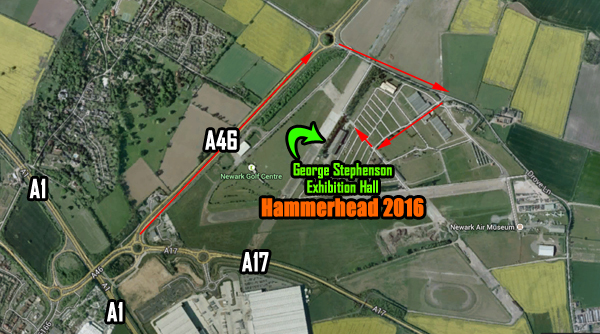 Hammerhead 2016 is to be held in the same venue as 2015's event, The George Stephenson Exhibition Hall at Newark Showground which offers a welcoming environment with plenty of natural light in which you can play games, shop for wargame goods from a selection of top traders positioned around the perimeter of the hall. The visitor participation games are all located in the central area of the exhibition hall. It has its own catering facilities, which will be serving a variety of reasonably priced hot and cold food throughout the day.The car parking is plentiful, free and Newark Showground is only a few minutes from the A1.